– This article from Fort Mill Times, argues for a return on experience (ROE) measurement in the context of drug companies but the model can applied anywhere. Companies need to look beyond ROI to determine initiative success. Measuring return on investment (ROI) for mHealth initiatives prevents drug companies from fully understanding their sources of successes or failures, according to a study by Cutting Edge Information. Tracking ROI for mHealth initiatives is a common goal for drug companies. But, the study argues, drug companies need to focus on users’ experiences and cannot explicitly relate ROI to a single performance metric. Pharmaceutical companies are creating additional value for the end user by embracing efforts to both reduce costs and equip initiatives. This new trend emphasizes generating brand loyalty through better user experiences. Cutting Edge Information’s research found that successful mHealth initiatives prioritize value and innovation over technology and ROI. The study, “Pharmaceutical Mobile Health: Transforming Brand Marketing, Healthcare Communication and Patient Adherence,” discovered that many companies use metrics such as user uptake and user drop-off rates to indirectly measure ROI. 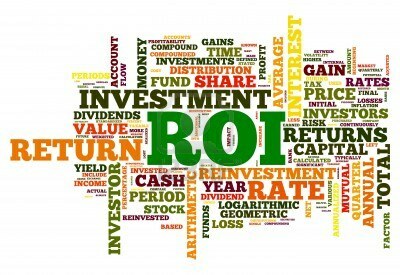 ROI provides companies a simple view of an initiative’s success. However, by itself, ROI fails to examine the joint variables of company and user experiences. To fully understand the value an mHealth initiative generates for end users, that companies must also examine return on experience (ROE). Generate financial support for mHealth initiatives in your organization. Learn how drug companies are harnessing the wealth of opportunities emerging in the mobile health environment. Implement mHealth initiatives targeting both patient and physician audiences. Create a strong, supported mobile health team or center of excellence to drive innovation and increase patient and physician engagement. We would love to hear from you if you have implemented this model at your place of work. Please email joseline@whatusersdo.com.